18. 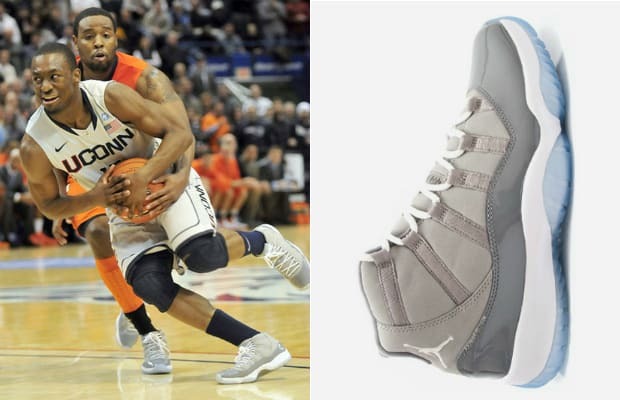 Air Jordan XI "Cool Grey"
Killer crossovers that literally sat people down and step-back game winners weren't the only thing on Kemba's resume for the 2011 season. Helping lead the Huskies to the national title, he did it with one of the best displays of sneakers the collegiate level has ever seen in a single season.